Ready for an adrenaline rush? The pendulum jump allows you to drop into space attached to a rope. 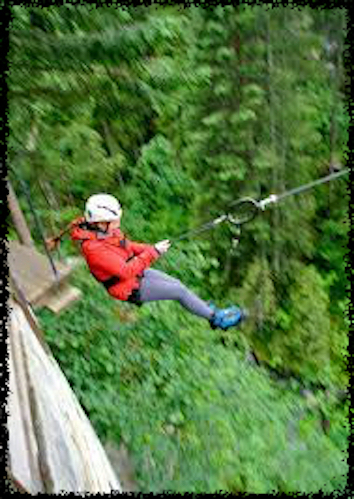 At first you will experience the thrill of freefall, before the rope tightens and you are able to swing across open space. Relish the thrill in a highly secured environment, this group activity is guaranteed to get your adrenaline pumping. We are happy to offer this activity with other activities to maximize your day!